I bought a folding cutting table from JoAnn's to cut my fabric on. 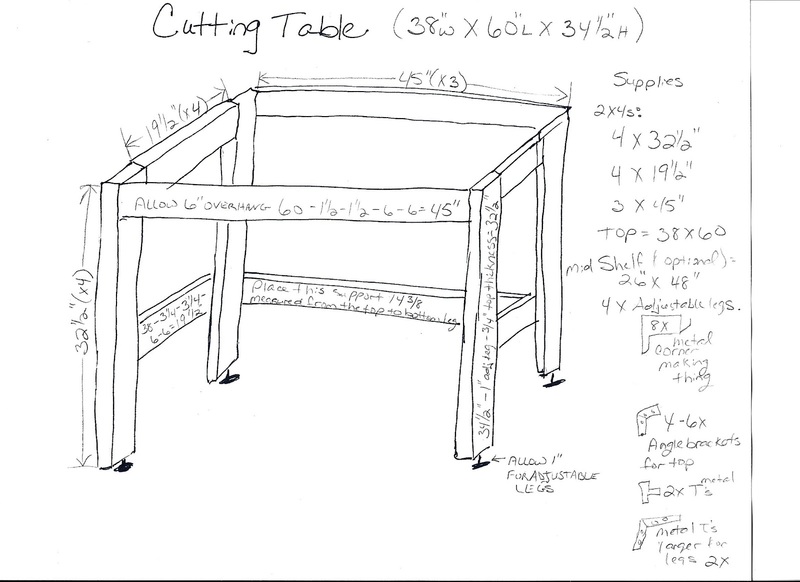 The problem is that the table is pretty flimsy and really won't withstand years of pressing down hard on the far corners as when I'm cutting 4 layers of batting with my rotary cutter. Solution: build my own! Here's my concept drawing. I did have to laugh when shopping for the connectors at the Depot when my DH told me my drawing doesn't resemble how I'm describing how the pieces will go together. Hmm... I think it looks pretty good! Ok, I can see where someone might think a few of those pieces aren't flush, but they are... just wait! 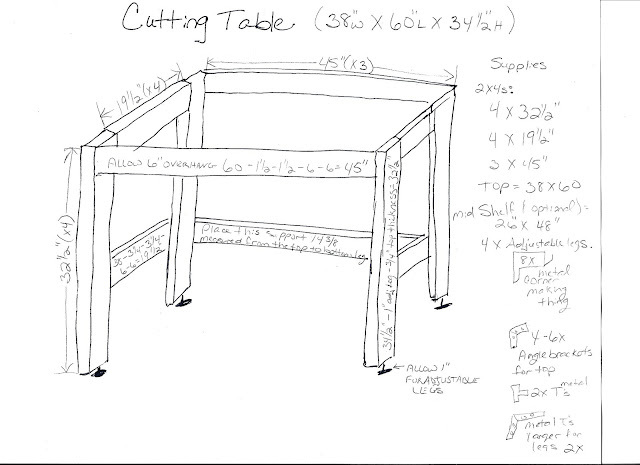 I call it a cutting table because that will be it's primary use, but this design can work easily as well for any kind of task table, hobby table, or work table it doesn't really matter what I call it so long as it's sturdy... and it will be!